Wish your Android smartphone had another physical button that could be used as a shortcut to launch an app, take a photo or check in to social networks? A new Kickstarter campaign is peddling just that – a smartphone accessory called Pressy that transforms your headphone jack into a multi-function button. 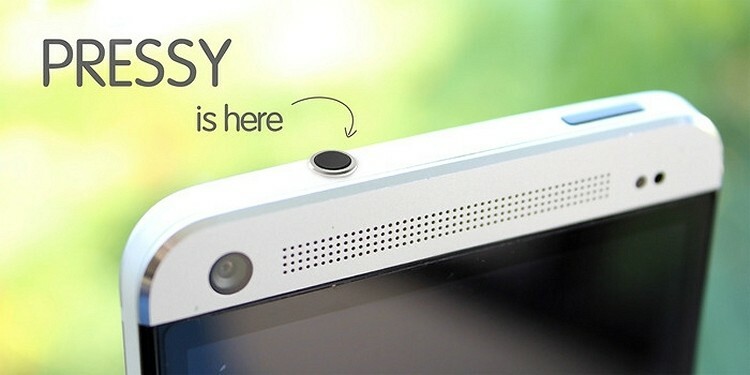 The company behind Pressy describes it as the almighty Android button that can perform virtually any task you can think of. It consists of a dongle that plugs into your headphone jack to turn it into a clickable button and an app installed on your phone. It comes configured with three pre-set actions: one short click to toggle the flashlight, one long click to toggle your phone in and out of silent mode and a double click to snap a photo. But that’s just the beginning as the software allows you to totally customize Pressy to perform any number of functions. Some examples include recording a phone call, toggling Wi-Fi / Bluetooth, capturing a screenshot and closing all running applications. Note that you’ll need to be running Android 2.3 or later to use Pressy. The dongle sits just 0.7mm above the surface of the headphone jack, giving you enough room to press the button and remove the device without being overly intrusive. When you need to use your headphone jack for music or to place a call with a wired headset, simply remove the dongle and store it in the Pressy keychain. The Kickstarter campaign still has 45 days to go but it’s already managed to surpass the initial goal of $40,000 by a substantial amount. A pledge of $17 will guarantee you’re one of the first to receive the accessory when it ships next March.